This is the perfect time here in the Central Valley. The constant rain has stopped and we are all planting like mad. I hope the fruit crop wasn't destroyed because I'm down to my last jar of jam and need to make some soon. The temperature is in the mid-80's. In another month, we'll experience triple digit numbers, as high as 113 degrees. 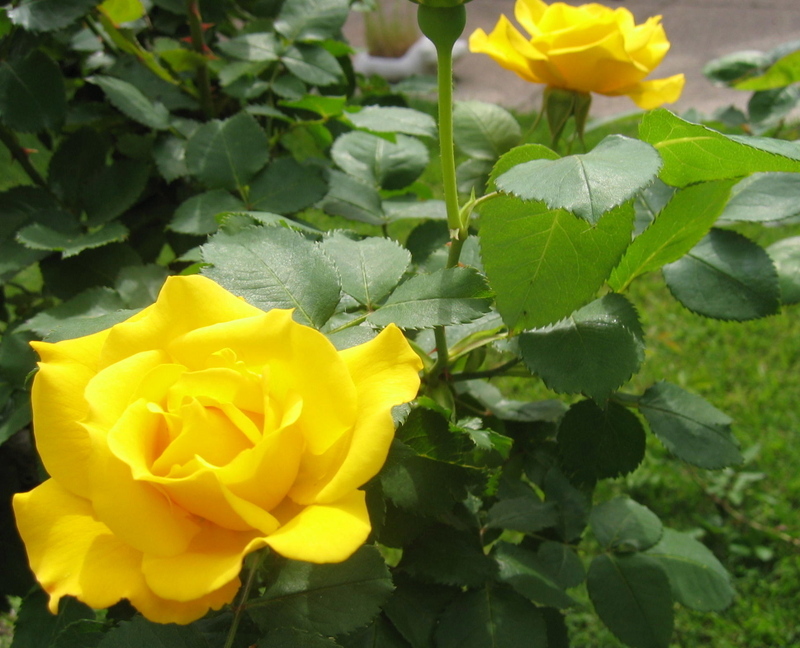 That can be hard on plants that don't like to bake, for instance, yellow roses. They don't last very long in the high heat, fading quickly. So, I am taking the time to enjoy these beauties right now. I wish I could remember the names of these roses. 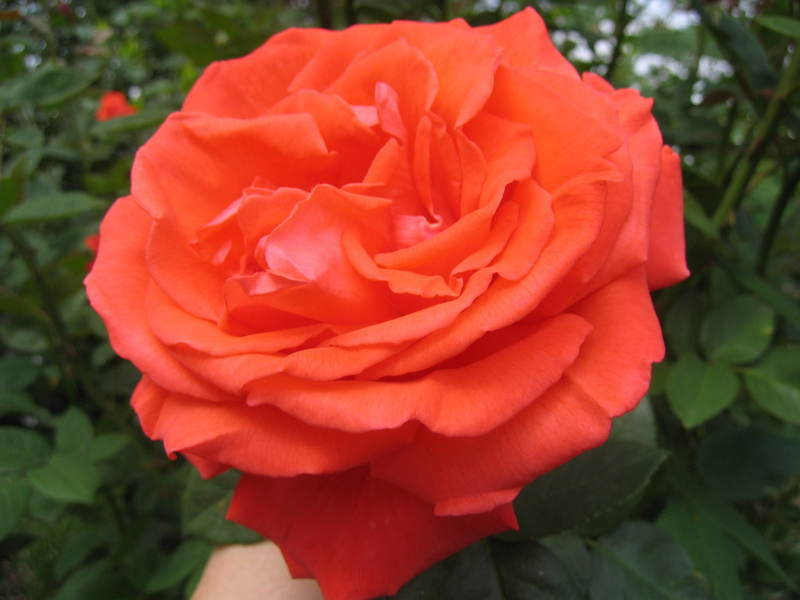 This coral rose is very hardy and prolific in high heat. 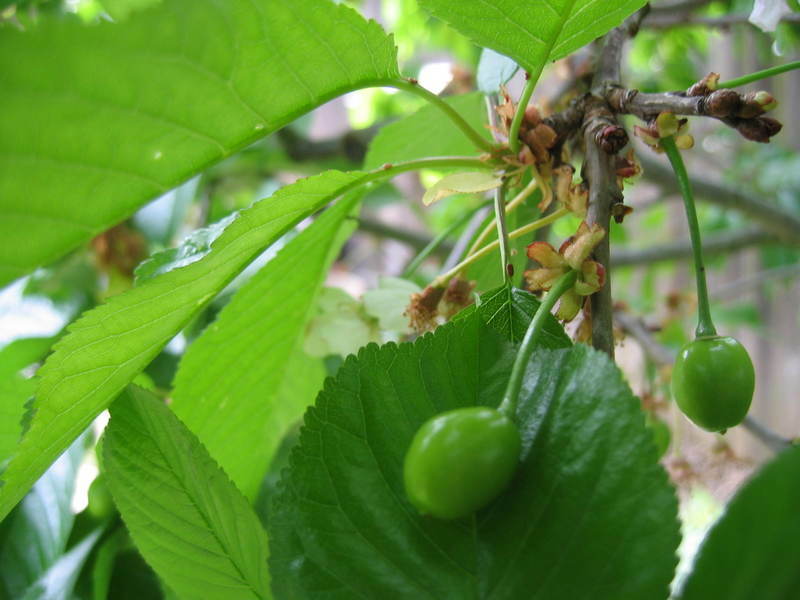 This weekend I discovered lots of baby sweet cherries on my dwarf cherry tree. All in all, it's a very good time. My fava beans are producing like crazy and the tomato plants have little fruits on them. I'll plant basil, green and wax beans, eggplant and peppers this week. And I'll try to remember this lovely time before the beastly heat arrives. It will hit the 90's this weekend. That's how it starts. Well, after weeks of rain there was a two day break in the weather and I was able to plant tomatoes. And I noticed that my fava beans plants, which you see in the planting box to the right, actually have bean pods on them. Great! I also knew that as soon as the tomatoes were planted, every cat in the neighborhood began making plans to use my planter box as a litter pan. The number one culprit is my own Upsie. She loves nothing more than taking a dump next to a tomato plant. So, for the past 9 years since Bob made the redwood planter boxes for me, I have waged a battle to keep cats out of them. Upsie begins her yard patrol. First she stops and admires the fava bean plants. Still no beans! What's the problem? Exhausted after all that hard work, she takes a break under a tree rose. Upsie says to go over to Clare's house at Eatstuff and see all the other kitties!!! !